SoftPlanet makes it possible for everyone to get free Optimo Defender AntiVirus download directly from our servers. There is no registration needed for downloading. Nowadays using the Internet is a daily thing just like to take a shower. However, alongside with the good stuff, there is always something bad related to it too. Even if you use the latest security updates for your Windows version your PC still remains unprotected from all kinds of malicious threats. 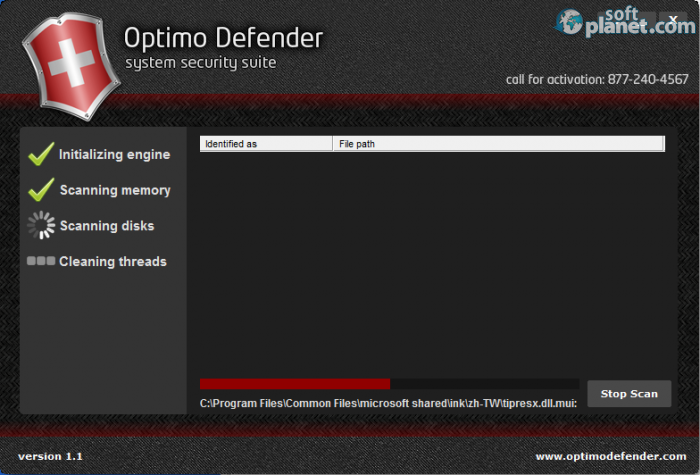 Optimo Defender Antivirus 1.1 is a nice and elegant way of minimizing these threats and protecting your computer in the best possible way. 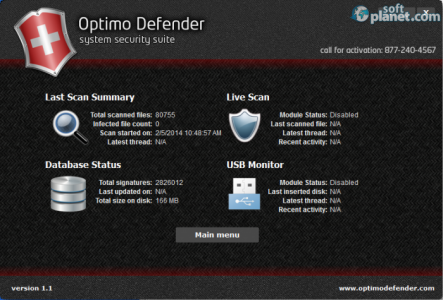 Optimo Defender Antivirus comes with a 14-day trial period, so you can download it for free if you want to check it out. It has a nice multilingual user interface and three available scanning modes – Full system scan, Scan local disks and Scan USB drives. This app uses a powerful protection technology, which is capable of detecting and deleting all traces of malware. That includes worms, trojans, rootkits, rogues, dialers and spyware. 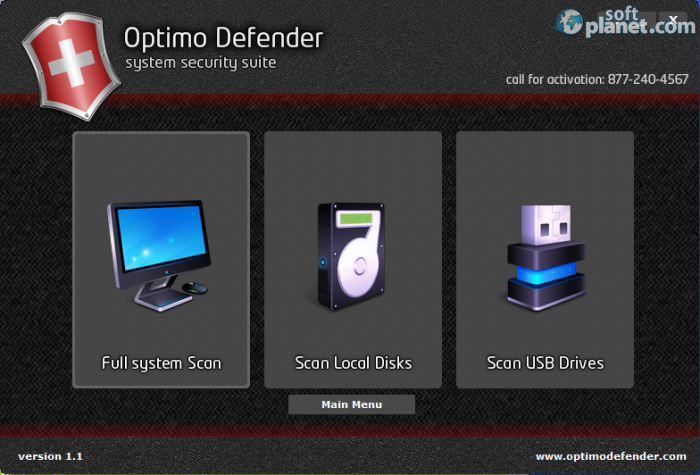 Optimo Defender Antivirus offers a plain and simple interface that has seven tiles which link you to its functions. The Scan For Threads tile shows up the three available scan modes that you can easily choose. Update DB initiates the update of the virus definitions to the latest available one while Statistics show you a brief information about all program items. 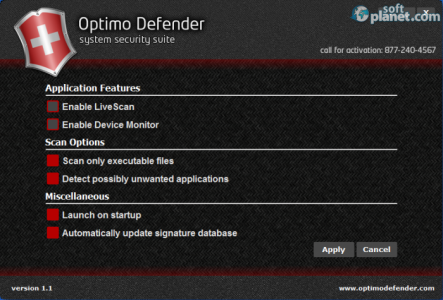 Optimo Defender Antivirus 1.1 does not have too many settings to tweak and this is one of its pluses. Only six items can be found in the Settings tile including enabling LiveScan and Device Monitor, as well as launching on startup and automatic database update. Virus Vault is where you can find all detected infected files and decide what to do with them. Restore and Delete are the two possible options you can choose between. In a nutshell, Optimo Defender Antivirus is lightweight on system resources, but at the same time is strong regarding protection. It is relatively small compared to other similar products, but its performance does not step back even an inch. Optimo Defender AntiVirus is VIRUS-FREE! 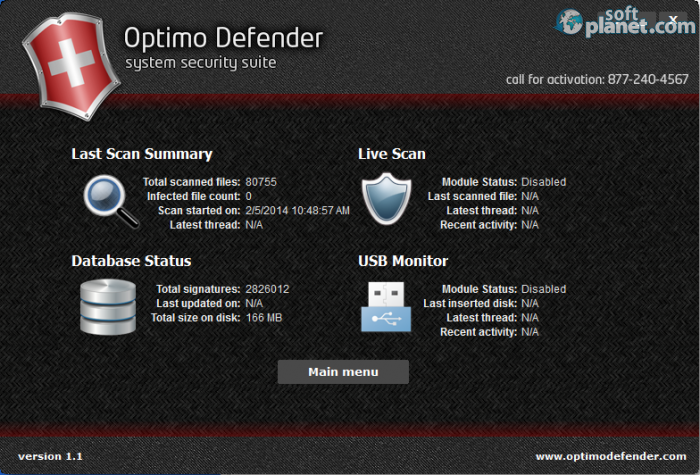 Our security scan shows that Optimo Defender AntiVirus is clean from viruses. 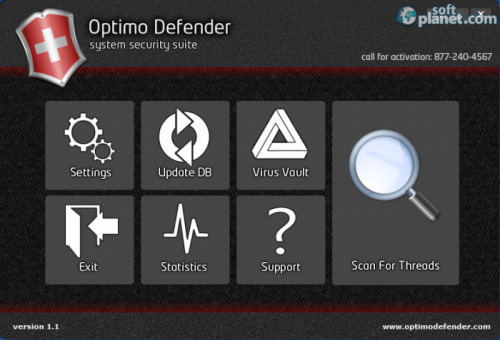 The current version of Optimo Defender AntiVirus has been scanned by our system, which contains 46 different anti-virus algorithms. 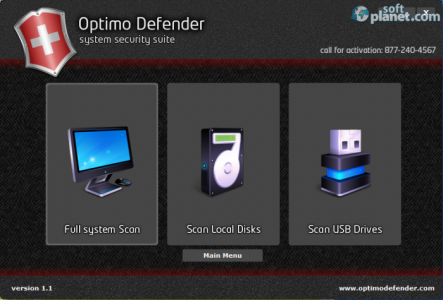 That ensures that Optimo Defender AntiVirus 1.1 is 100% safe for your computer.